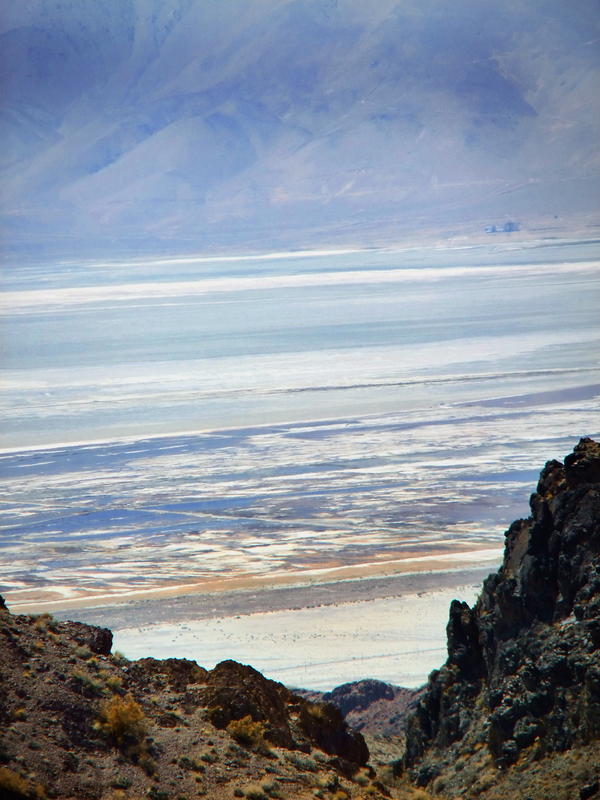 April 21, 2013  Owens Lake, sucked dry 100 years ago (1913) by William Mulholland for the City of Los Angeles Department of Water and Power. The view is looking to the west from half-way up Cerro Gordo Road. Tiburcio Vasquez, his lieutenant Cleovaro Chavez, and other highwaymen made trouble for Nadeau's Cerro Gordo teamsters now and then. LW2372a: 9600 dpi jpeg from digital image by Leon Worden.